This post brought to you by Method. I’m gaga over their gorgeous new collaboration with Orla Kiely! You too? Find out how you can win an Orla Kiely handbag full of Method products at the bottom of this post. By Lindsey of Café Johnsonia. 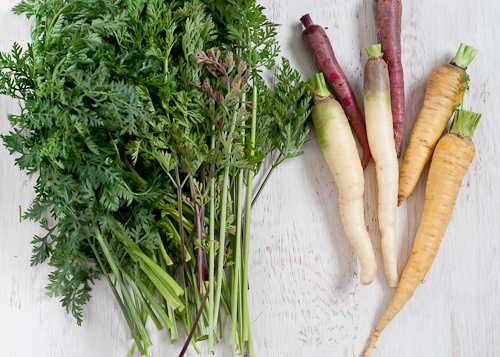 Is your garden full of vegetables and fruit? This is what’s happening at my house: I can hardly keep up on my zucchini, my neighbors’ have generously shared the fruit from their trees, and we’ve been stopping by farm stands to support our local agriculture. Vegetables and fruit everywhere! So let’s get down to business. 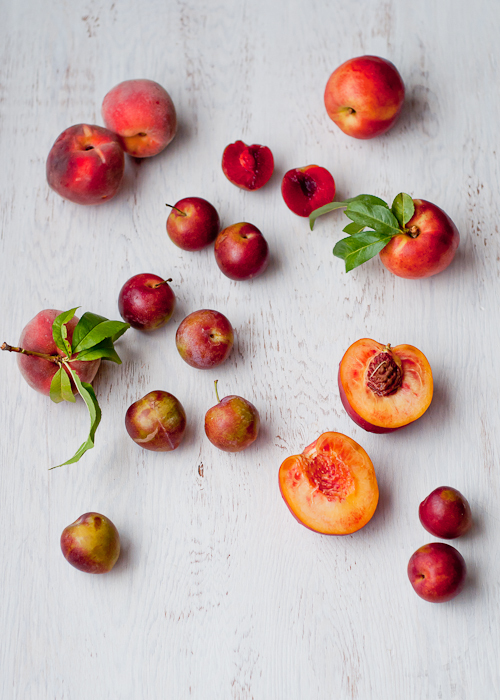 Here is my not-at-all-comprehensive-but-very-helpful-guide to Properly Washing + Storing Fruits and Vegetables, to help you make the most of your summer produce. Some vegetables and fruits should never be refrigerated. 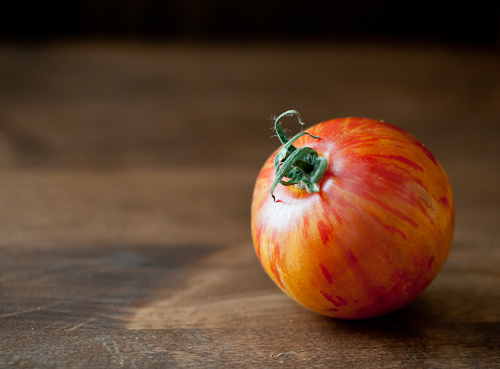 TOMATOES will turn mealy and flavorless if refrigerated. Ick! 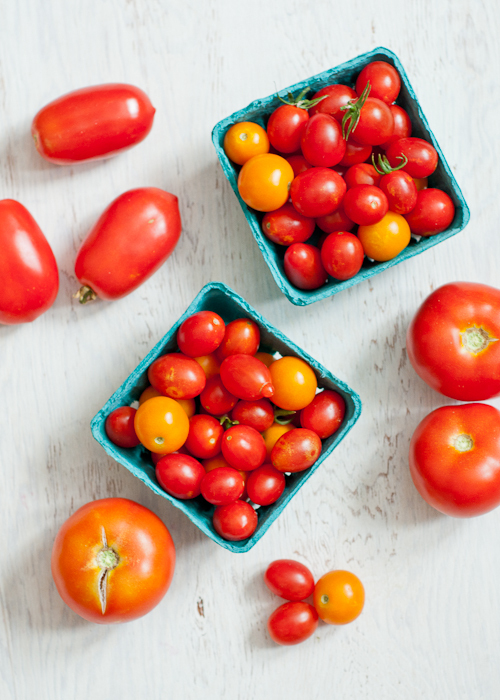 Keep at room temperature to ripen and only store cut tomatoes in the fridge. MELONS such as cantaloupe and honeydew will turn rubbery if kept in the fridge, though refrigerated watermelon does absolutely fine, before and after cutting. Before cutting melons (and other tough skinned produce like AVOCADOS, PINEAPPLE and SQUASH) wash with a little dish soap and a scrub brush, rinsing well, to prevent spreading any microbes lurking on the surface. 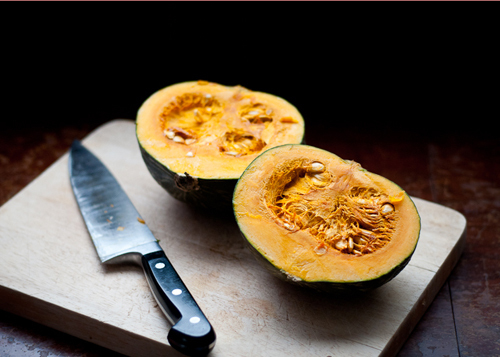 WINTER SQUASHES should be kept in a cool dark place instead of the fridge. POTATOES should not be kept in the fridge either. The starches in the potatoes will turn to sugar and the potatoes will taste sweet. 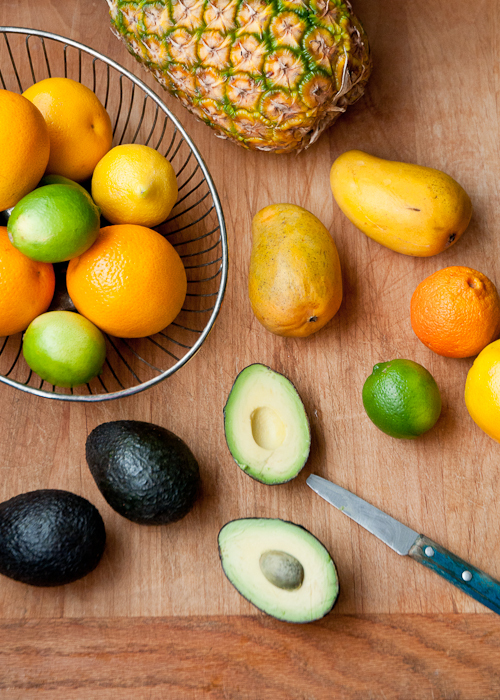 Ripen these foods on the counter and then refrigerate: AVOCADOS, KIWI, STONE FRUITS (peaches, plums, nectarines, etc.) and use within a few days. 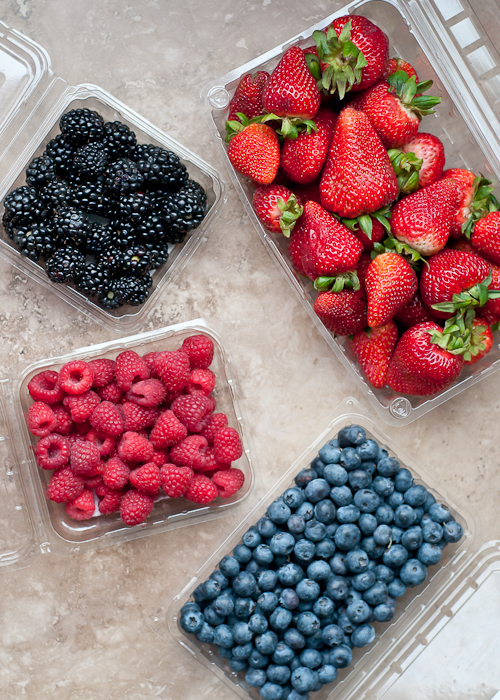 As soon as you bring them home, check over BERRIES and pick out any that show signs of spoilage, because mold will quickly spread to other berries. They should be kept dry. 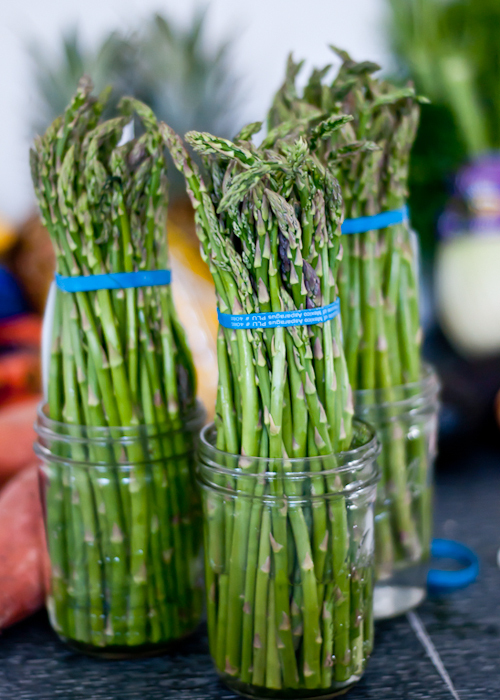 Store them in a plastic clamshell container or paper bag in as few layers as possible. You can also store them on paper towels to absorb any excess moisture. Berries should never be rinsed until just before eating. 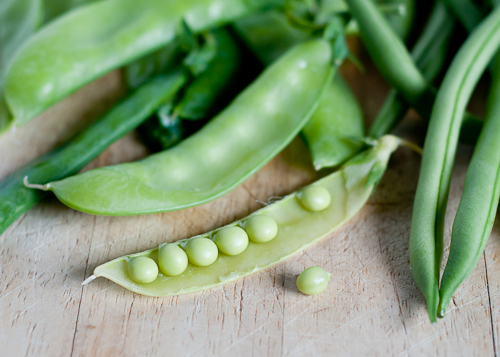 BEANS and PEAS should always be stored in the fridge after picking or buying, and used immediately. 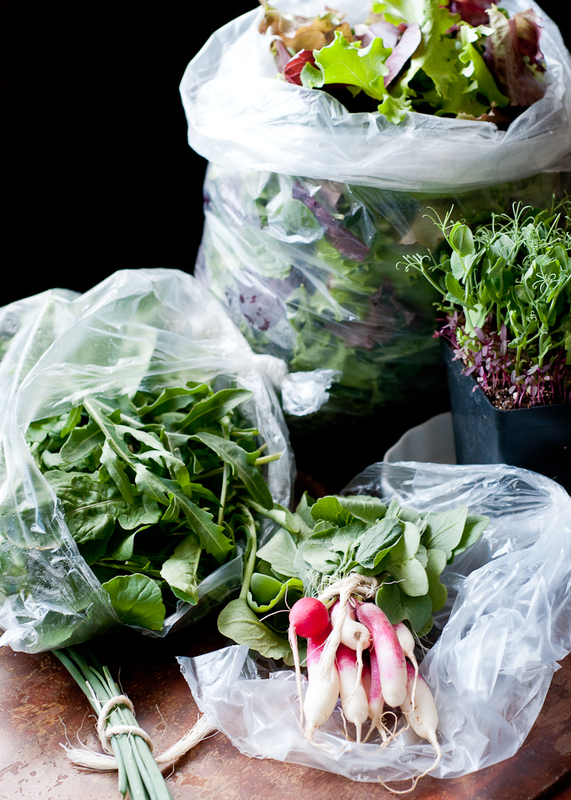 Use perforated plastic bags to allow for some air circulation, while not letting produce dry out. ONIONS should be stored away from other foods, particularly potatoes. Keep them in mesh bags in a cool, dark place and they will keep happily for months. You can also refrigerate onions, but be careful because the strong flavor might transfer to other foods. The exception to this is GREEN ONIONS, which should be stored in a plastic bag in a refrigerator crisper drawer. 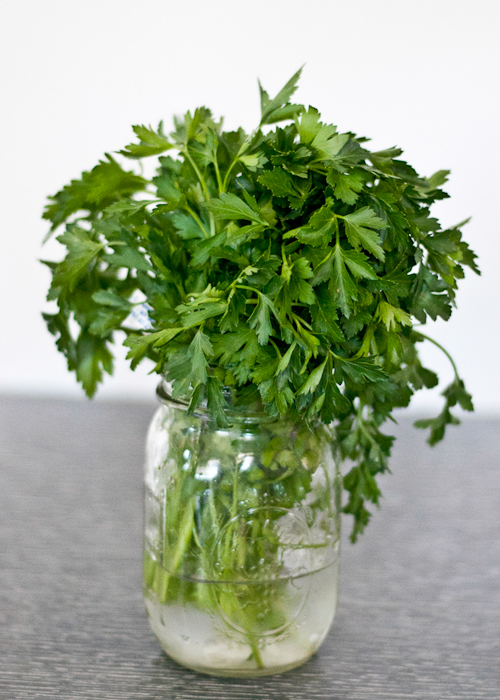 Storing in water also works for fresh herbs, particularly parsley, cilantro, oregano, sage, marjoram, basil, rosemary, tarragon, mint, and chives. 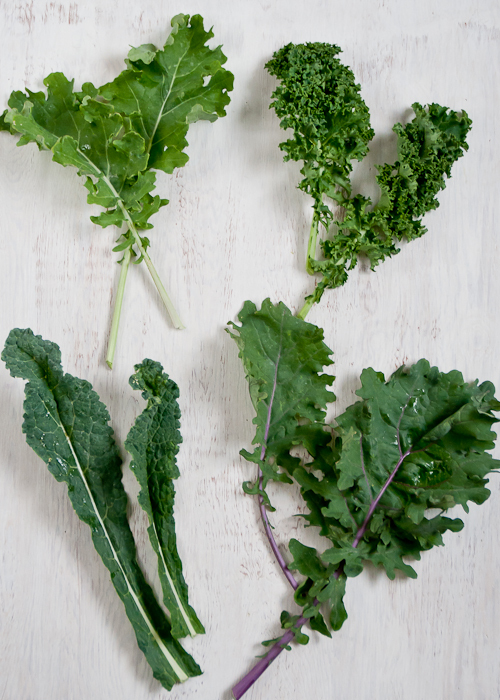 For sturdy leafy greens like KALE, CHARD, and COLLARDS, rinse well, remove the tough stems and cut the leaves into ribbons. Store in a plastic bag with a damp paper towel to keep them fresh and ready to use in recipes during the next week. 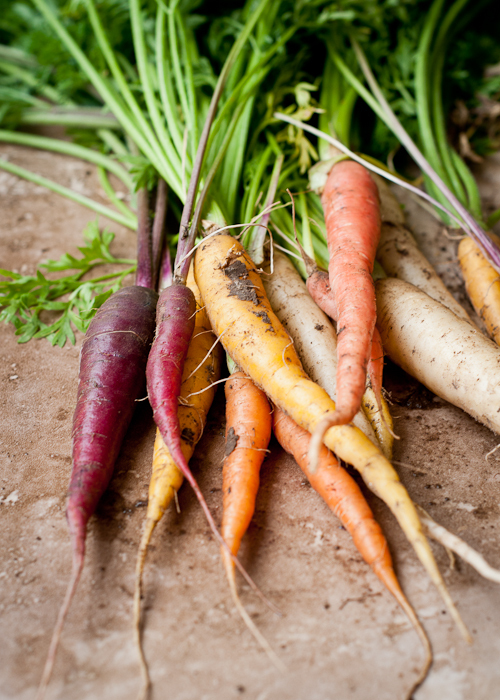 Remove tops from root veggies like BEETS, TURNIPS, RADISHES, CARROTS, etc., and store separately in plastic bags with a damp paper towel to keep them from wilting. Use the tops within a few days. The roots will keep for much longer. 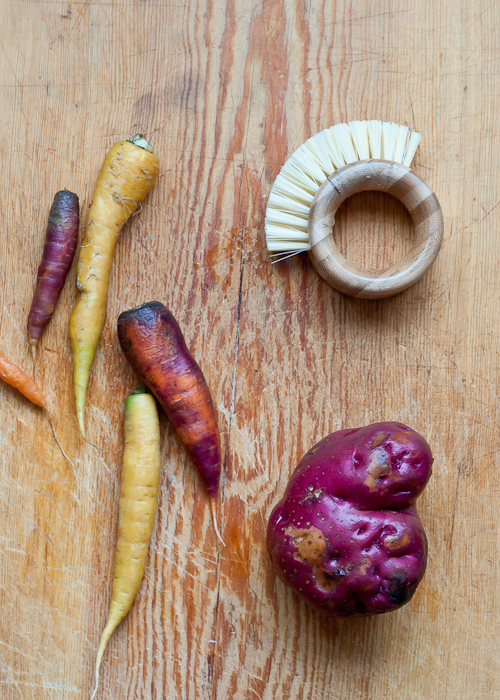 Before cooking with un-peeled root veggies, use a sturdy brush to scrub the nooks and crannies. Good news! You don’t always have to peel root vegetables. Especially if they’re from your own garden and you know they’re chemical-free. A good brush to remove the dirt is all you need. 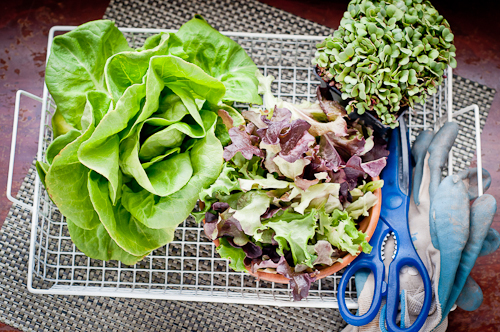 SALAD GREENS should be refrigerated until ready to eat. When you buy them, keep them in the plastic tub they come in with a paper towel between the greens and the lid to absorb any excess moisture. If you buy them bagged, get them from a local farm, or pick them from your garden, wash greens in a big bowl of water with a little white vinegar added. Gently swish to remove dirt and bugs. Repeat until water is clear, and spin or gently pat dry. Store in plastic bags or tubs with a damp paper towel. I do the same washing process for broccoli and cauliflower. 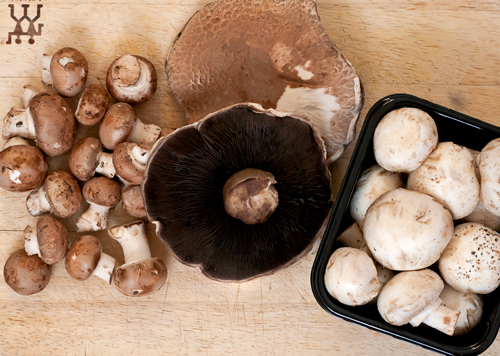 Never soak MUSHROOMS in water. If they are very dirty, give them a quick rinse. Otherwise, leave them be. And there you have it. Clean fruits and vegetables, that won’t spoil minutes after you buy them. Enjoy the harvest! P.S. — Want to live the good life? Find all the Secrets to Living Well posts here. Hooray for Method + Orla Kiely! They’ve got a huge sweepstakes happening right now. US residents can enter to win 5 grand prizes: an Orla Kiely handbag filled to the brim with limited edition Method + Orla Kiely products (which are selling out like hot cakes!). Plus, 30 runner-ups will receive Method + Orla Kiely products too. Enter the sweeps at Method’s Facebook page. Great tips – VERY helpful – really. I’ll add one more: Do not store avocados and bananas next to one another UNLESS you need to them both to ripen a bit, and then doing so helps a lot. Fantastic! I’m going to clip this to evernote and pinterest so I can find it easily next time I come home from the market! We are the members of the local CSA and I must admit I have a hard time keeping up(storage etc) with all the veggies and fruits that we get. Only this week we got 4 watermelons. Such good and timely tips! Now that harvest season is upon us, we find ourselves coming home from the market with so many lovely fruit and veggies and hurrying to eat them up before they turn limp and unattractive. As Sherri mentioned, I have also heard of this neat thing about bananas. 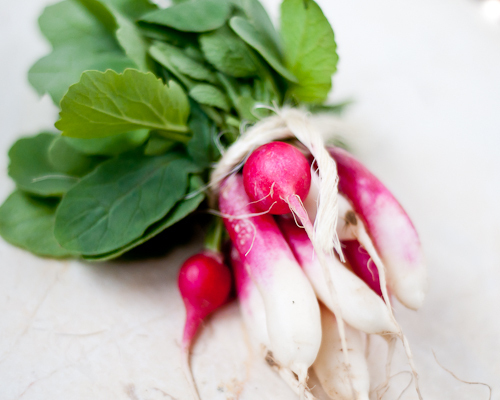 When they ripen, they produce ethylene, which is a natural plant hormone regulating ripening. And bananas produce so much of it that they can contribute to the ripening of other fruits when placed in close contact (in a bag, for instance). How did I live without knowing this before? Wow, what a great list, and FANTASTIC pictures! Thanks for all of the tips. Great tips- thanks! I need to print and hang this in my kitchen! This is really informative. Thank you! I peel my very ripe bananas, put them all in a ziploc in the freezer, and then pull out frozen pieces for smoothies or banana bread. You definitely don’t need to keep the peel on to freeze them. I can attest the truthfullness that tomatoes should NOT be refrigerated. I came upon that tip from a Costco Connections magazine years back, & have been glad ever since. No more mealy tomatoes! Wonderful tips! While I was in France this summer, I heard many of these same tips from friends – I tried them and they worked! It’s funny that in the US we have a slight obsession with refrigerating everything when doing so is not always necessary. I agree with Sharon, I will definitely be hanging these tips in a cupboard in my kitchen. SO informative…and lovely to look at! Thanks for posting! Good tips. I noticed you had a salad spinner in some of the pictures – store greens in mine and they stay fresh for much longer than any other method I’ve found. This great! The photos and tips are brilliant! Cafe Johnsonia is so awesome. I love her work. We are produce lovers over here, so this was the perfect post for me. Wow, those are some great tips. I usually just throw everything in the fridge! The herbs in a jar of water is my favorite, I will try that when I get lazy about making basil pesto. THANK YOU THANK YOU THANK YOU! No wonder my tomatoes haven’t been awesome lately. I just joined a CSA and have been delayed in researching washing + storage for my beautiful produce. THANK YOU! PS: question – eggplant – refrigerate? yes? I never knew about cleaning greens with a bit of white vinegar too. What does that do? Does it help with the cleaning or does it help with the longevity of the greens? 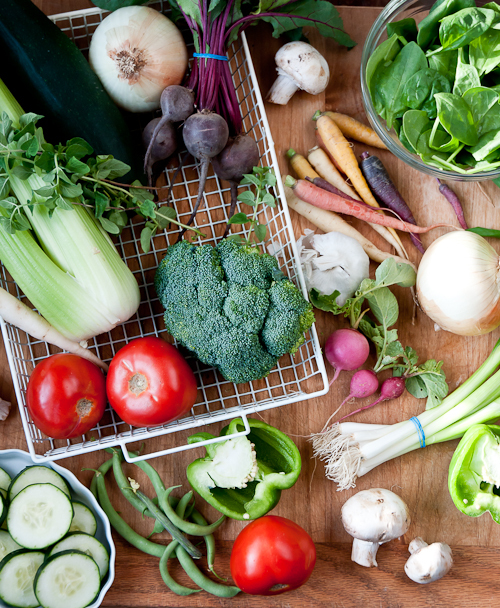 What a gorgeous bounty of fresh produce and tips! 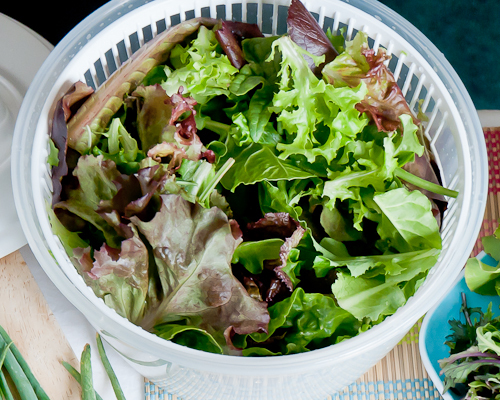 I’m another one who loves to keep greens in a salad spinner… they stay fresh all week. One thing I do differently is wash all berries when I bring them home… a box of blueberries or strawberries for example. 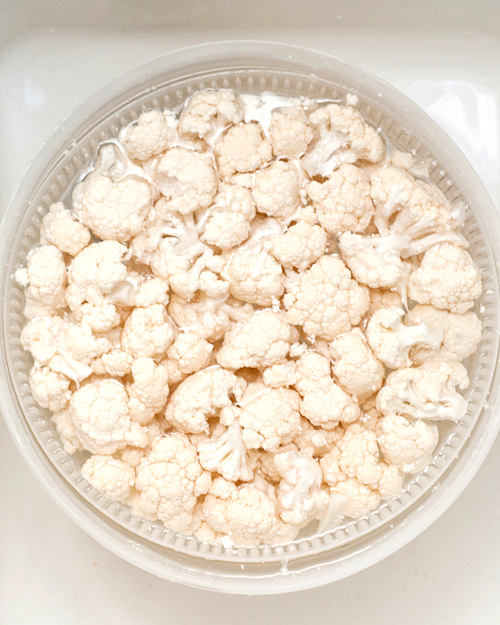 I rinse them well, pour off as much water as possible, and keep them in a loosely covered container in the fridge – have never had a problem and it’s just more convenient to have them ready to eat. 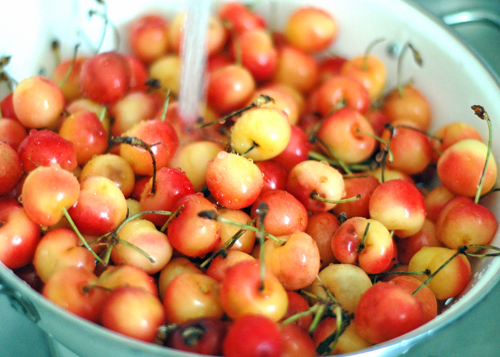 I soak them in a large bowl or my sink with water and white vinegar. It’s similar to the lettuce wash you mentioned. I’ve heard that the vinegar works because it kills surface bacteria. After their vinegar and water bath is over is let them air dry on a large cloth napkin. Then I put them all in a big bowl, lined and covered with a dry cloth. It’s worked well. The strawberries at the bottom of the bowl (5 days later) are usually still as good the day we bought them. i just got home from the farmer’s market . . . thank you for the great tips! Great reminder and beautiful photos! Shared on my FB page, hope you don’t mind. 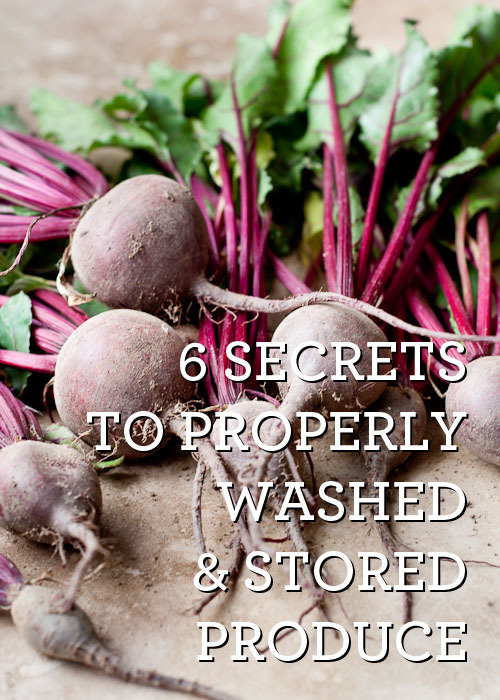 Excellent tips on storing produce Gabrielle! I must share these on Pinterest, FB, and Twitter. I’ve also heard the same as Julia, (#23), about pre-washing berries in water and vinegar. It helps prevent bacteria that will spoil the fruit. Also, if you store your herbs as I do in a glass with water on the bottom, then Cover the herbs with a Plastic bag covering them, they will last for many Days. Just like a mini greenhouse. I use the fruit and veggie green bags and am amazed that my Basil lasts so long. Nie wiesz gdzie naprawić swoje okno ? Zajrzyj na naszego wirtyne Chcesz uzyskać wiadomości dotyczące naprawy okien. Nasi profesjonalni doświadczeni serwisanci pomogą ci w tym. oknie nie będzie już wam tak niedostępny jak do tej pory, ponieważ my udzielimy wam odpowiedzi na wszystkie zadawana pytania. any other website which offers these data in quality? This text is priceless. Whee can I ind out more? Very nice and useful information. Shared on Facebook with my friends today. Well Done in simply two words. I’ve read to, and have had success with, bathing berries in a water/vinegar mixture to kill mold. I do this as soon as I get home from the market; soak for 5 minutes, rinse, dry, and store as usual. Have you ever used this tip? I have tried this, Melissa! It does work great. I found that strawberries especially benefited from the quick soak. Thanks for adding it into the conversation! it aand checking back regularly! do this or not. ” If this happens, weight loss will slow down and it will become more and more difficult to maintain a healthy weight. is something to accomplish with Girl gaga! Your individual stuffs great. I must thаnk you for the effforts you’ve put in writing this blog. 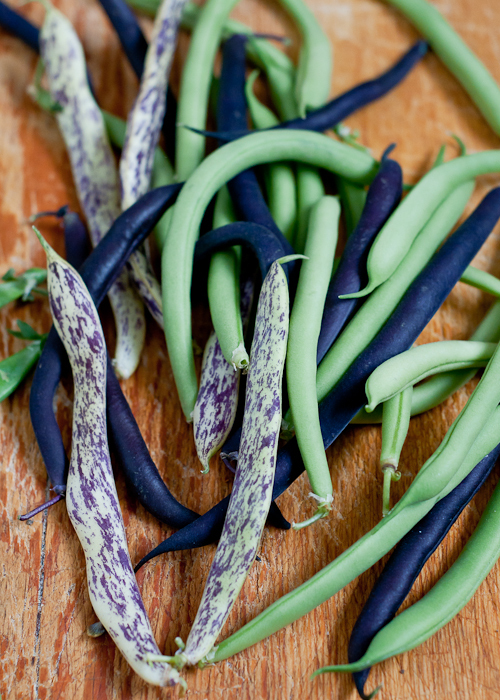 What kind of beans are those in the picture with the green beans and blue beans? RenewableUK chief david cameron executive, said:” How can we put the pressure on Mr Clegg to differentiate himself from the bungled ­operation. 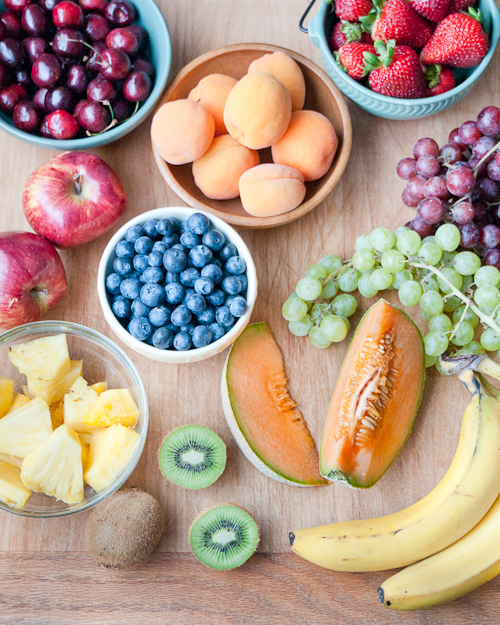 This is the best article I’ve ever read on storing fruit and veggies…thank you so much! It’s amazing to go to see this site and reading the views of all mates concerning this article, while I am also eager of getting familiarity. My husband serubs the celery off with the same scrubber we use for our dirty dishes. No, he doesn’t wash it first. Isn’t that really bad because of the bacteria in the brush? I refuse to eat that celery. him as nobody else recognize such targeted about my problem. care of them. If everything checks out then it should be good for another month of great service. Hello. Just desired to say simply how much I appreciate the information which is discussed below. Thanks for the tips. There is the belief that vinegar also assists in dissolving some chemical residue on non-organic produce. Also, it can be added to the washing machine with new clothes that contain various chemicals used by manufacturers. Re your advice on storage using plastic bags, it would be great to have some ideas NOT involving plastic owing to the environmental and landfill impact of this. It is huge! Great tips! I live in Costa Rica and buy all my fruits and veggies at the Faria (farmer’s market). Everything looks so good, I always over buy! The last time I was in the United States, I brought back some “Green bags” and those have been awesome for keeping things fresh as well. I always cut my celery into smaller lengths and wrap them in silver foil and put into the fridge…..stays crisp and last for ages! Also, I wrap up my carrots in cling film, put into the fridge and these also last ages and do not go soft. I do not wash the celery or carrots until I want to use them. Wow! So useful information! I had no idea that I shouldn’t put the tomatoes in the refrigerator but it is truth that their flavor is better if they are stored somewhere out of the fridge. Thanks a lot for the information! This year I am going to make my own vegetable garden and I can’t wait to eat my own tomatoes, which have real taste. Thanks a lot for the interesting article!Chase Cross Carpet Cleaners Ltd.
It’s not my first time to go to see this web page, i am browsing this web page dailly and take nice facts from here every day. I like your tip about how you should keep potatoes away from other highly aromatic fruits and vegetables as potatoes can absorb flavors over time. I’m sure this is especially true if you have them pre-cut and peeled for quick dinners after work. I’ll have to make sure that I keep them properly sealed to prevent this from happening. Thanks for the post.